I just took delivery on my 4th Range Rover. Oliver Snow and Ryan Kahl were first class, extremely knowledgeable and a pleasure to work with as always. Thanks again guys! This is a great dealership. They really went the extra mile I live some 90 miles away and initially got involved with them on the lease of an XFR-S which is a hard car to find. It was a 2015 and I leased it new. I love the car and this is the first time I have bought a leased car at lease-end. I essentially repurchased it from the dealership with a 4 year 100,000 mile warranty. Much cheaper than paying the lease-end price and then buying a Jaguar extended warranty. The repurchase took place in January, 2019. It was all put together by MJ and he was great. 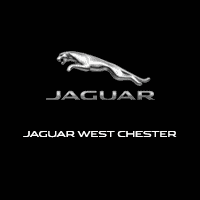 Would recommend him to anyone looking to buy a Jaguar in the PA area. Also, many thanks to Matt in finance - a world record of around 20 minutes to get all the paperwork on the purchase and warranty signed off. I wish they were my local Jaguar dealership. Many thanks guys. They have their sh*t together, great waiting area and customer service centered staff. Lenny is the shining star of service, he is professional, caring, personable, knowledgeable, friendly, hardworking and extremely honest. He is the major reason I bring my land rovers here for service. I've been loyal to this brand since my 2004 Discovery. The vehicles and brand are the perfect blend of style, function, chic and tough. I've tried other shops but this one, with Lenny, by far exceeds them all...Cheers! A very happy customer indeed. new car e pace. excellent vehicle. all department personnel treated me warmly. no pressure. went to the dealership just looking and came home driving. thoroughly impressed. Todd Agostini and Ryan Kahl provided the best car buying experience i've ever had. Would refer anyone to this dealer and these two in particular.